Unnamed This can't be a gas giant, we can see mountains ,and I never saw gas giants with that much contrast in the colors of the upper atmosphere. I think this is just a rather huge rocky panet. Yes ! 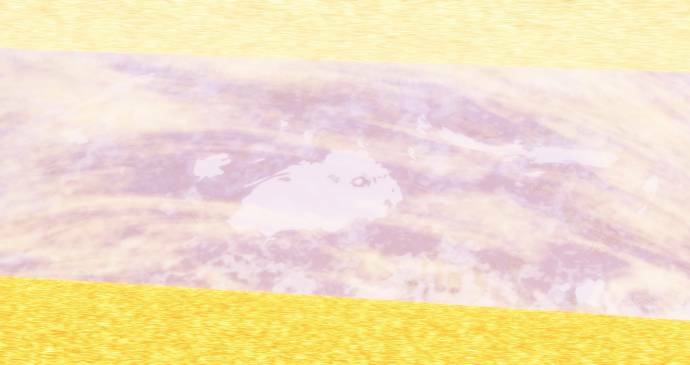 That was the first time I saw such a pronounced bump map for the "terrain" layer of a gas giant. I declare you victorious ! How can this be a gas giant, they have always flat clouds ? I want it a little more specific: what is the name of the planet? The picture was taken from our Solar System. 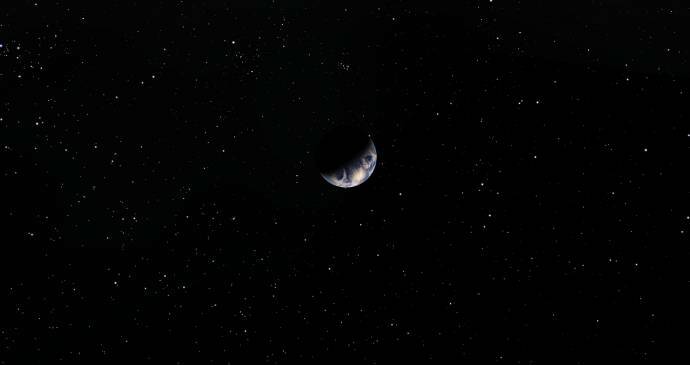 The picture was taken from our Solar System. A (maybe desert) planet that orbits a close binary system of two orange dwarves and the suns are shining through it's red-green rings, with some stars in the background. EDIT: The planet also has some craters and a hazy yellow atmosphere. It has passed some time from the last image and yet has to be answered. What you see in this image?? 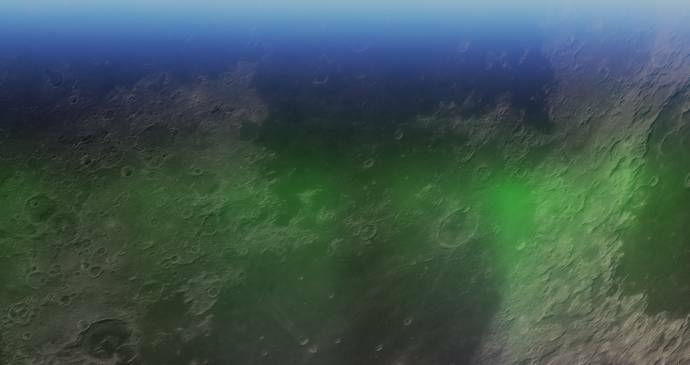 A texture map for a cratery planet (or our Moon) with some weird green and blue glow? Is the picture straight from Space Engine? 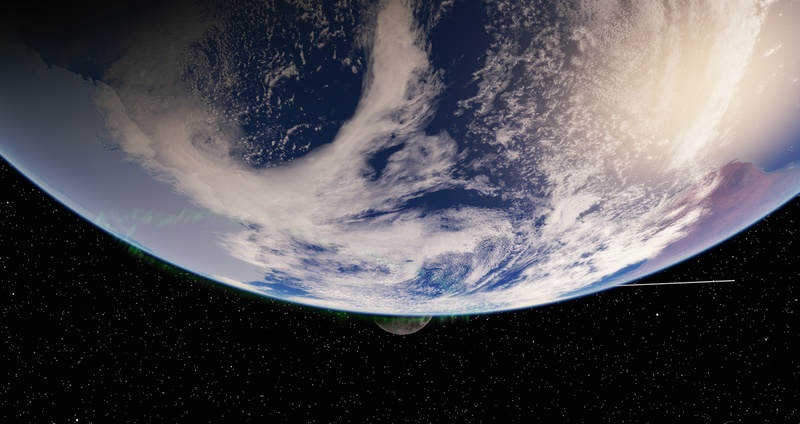 EDIT: Or some really tiny FOV picture of a body through an atmosphere. 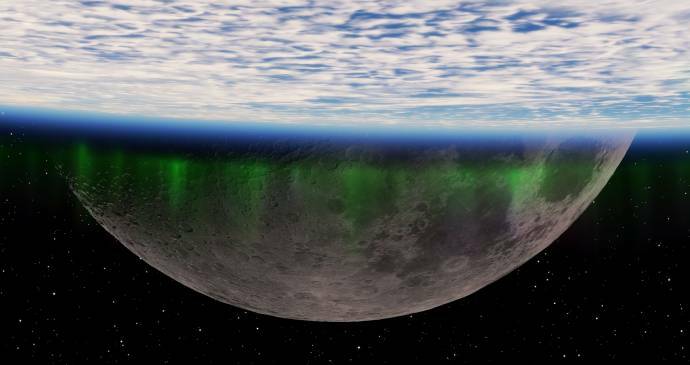 The moon occulting the Earths atmosphere with aurora visible. So near north or south pole. Well, both have win in some sense. 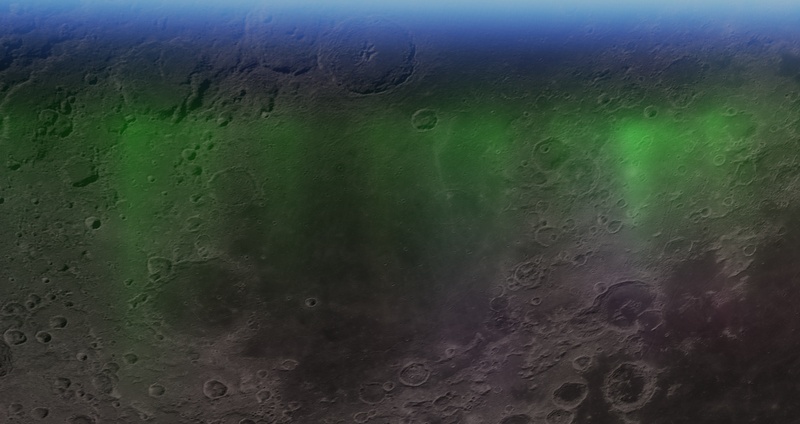 This are moon craters as seen through the ozone layer with a FOV of merely minutes of arc. (With a telesope far far away) the green glow is from a terrestrial aurora and the blue glow is from the troposphere of Earth. So the planet is above the image. Tricky isn't it but you are clever. To asign a winner I would say Billy Mayes (if you don't care Donatello2000) because it has been first (but I think is acceptable that Donatello2000 continues the game also because he has been more precise in reality). 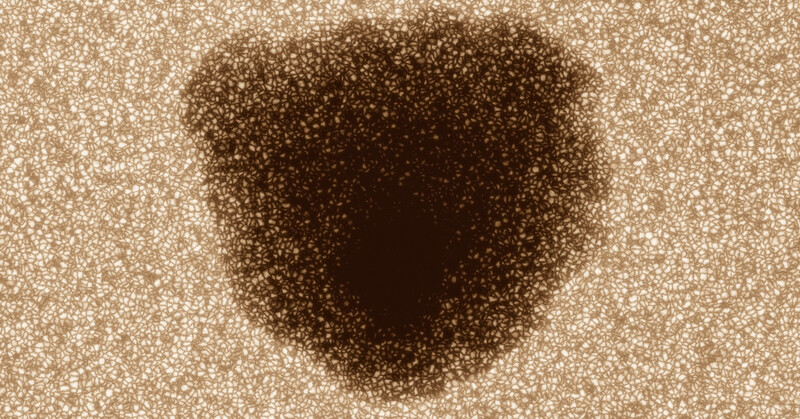 It's a solar spot of a G type star?? I can see granulation. It's beautifull. SE should animate those things in the near future. It's a solar spot of a G type star? Exactly! I had to tone down the exposure a bit to make it show up. Yeeep, it looks like a camel xD with his ear and eye observing you. But no, is not a camel.